Genus Salvia, commonly known as sage, is the largest genus in the Lamiaceae family. It comprises many species traditionally used as brain-enhancing tonics. In vitro and animal studies have confirmed that several Salvia species contain a large array of active compounds that may enhance cognitive activity and protect against neurodegenerative disease. In this review, the active constituents in plants belonging to the genus Salvia are summarised, and their influence on pharmacodynamics pertinent to cognitive activity are detailed. In particular, the effects of plants belonging to the genus Salvia and their constituents on cognitive skills including memory, attention and learning are detailed. Their potential effects in dementia, including Alzheimer’s disease, are also examined. Completed human trials are summarised, and factors influencing the potency of Salvia plants are covered. Finally, directions for future research are proposed to enhance our understanding of the potential health benefits of Salvia plants. Salvia plants and their constituents can influence several biological mechanisms associated with cognition including their effects on amyloid-β, cholinergic activity, neurotrophins, oxidative stress, inflammation and anxiolytic/antidepressant behaviours. Several studies have confirmed the many Salvia species have promising, cognitive-enhancing effects in human adults. Further research is required to examine the longer-term cognitive-enhancing effects of Salvia species on cognition, memory and the treatment of neurodegenerative diseases such as Alzheimer’s disease. Cognition refers to mental actions associated with acquiring knowledge. It encompasses processes associated with attention, memory, judgment and evaluation, reasoning, problem solving and decision making. Interest in herbal remedies as cognitive-enhancing agents (often referred to as nootropics) is on the increase with several promising compounds available, including curcumin, Ginkgo biloba and Bacopa monnieri. The genus Salvia (sage) is the largest genus of plants in the Lamiaceae family, comprising over 900 species distributed throughout the world. Common species include S. officinalis (common sage), S. miltiorrhiza (Chinese sage), S. lavandulaefolia (Spanish sage), S. fruticose (Greek sage), S. sclarea (clary sage) and S. hispanica (chia). Salvia officinalis comes from the Latin word meaning ‘to heal’ and is widely used in both culinary and medicinal preparations. Many species of Salvia are native to Mediterranean Europe and have been traditionally used for the treatment of a range of problems including digestive and circulation disturbances, bronchitis, coughs, asthma, memory problems, angina, mouth and throat inflammation, depression and excessive sweating. Salvia plants are traditionally noted for their antioxidant effects and ability to enhance ‘head and brain’ function, improve memory, quicken the senses, and delay age-associated cognitive decline . In this review, the active constituents in plants belonging to the genus Salvia are summarised, and their influence on pharmacodynamic activity pertinent to cognition are detailed. In particular, the effects of plants belonging to the genus Salvia and their constituents on cognitive skills including memory, attention and learning are detailed. Their potential effects in dementia, including Alzheimer’s disease, are also reviewed. Completed human trials are summarised, and factors influencing the potency of Salvia plants are covered. Finally, directions for future research are proposed to enhance our understanding of the potential health benefits of Salvia plants. As detailed in Table 1, Salvia plants are a rich source of polyphenol compounds with over 160 identified polyphenols, comprising an array of phenolic acids and flavonoids. These phenolic compounds include caffeic acid and its derivatives, rosmarinic acid, salvianolic acids, sagecoumarin, lithospermic acids, sagernic acid, and yunnaneic acids. The most prevalent flavonoids include luteolin, apigenin, hispidulin, kaempferol and quercetin . Plants of the genus Salvia are also rich in essential oils, with a large array of terpenoids including α and β-thujone, camphor, 1,8-cineole, α-humulene, β-caryophyllene and viridiflorol. Moreover, they are rich sources of diterpenes and triterpenes such as carnosic acid, ursolic acid, carnosol and tanshinones. The composition of the polyphenols and terpenoids can vary considerably across Salvia species. For example, rosmarinic acid is high in S. officinalis but low in S. hypoleuka . Levels of thujone are also reported to be higher in S. officinalis compared with S. lavandulaefolia . Tanshinones are found in S. miltiorrhiza , and varying forms of yunnaneic acids and salvianolic acids differ across Salvia species. Cognitive activity and performance can be influenced by an array of neurological and biochemical factors. Damage to specific neurological structures can be associated with specific cognitive deficits, and there is an increasing awareness of the influence of different hormones and neurotransmitters on cognitive activity. Because of its rich array of chemical constituents, plants of genus Salvia can influence multiple physiological pathways (summarised in Fig. 1). Those especially pertinent to cognition are summarised in the following sections. The accumulation of the amyloid-β peptide (Aβ) is a characteristic of Alzheimer’s disease and its deposition is considered partially responsible for the cognitive dysfunction seen in Alzheimer’s disease. It is theorised that aggregated Aβ is accountable for the progressive nature of the disease, as the unregulated build-up of aggregates are neurotoxic, causing dysfunction to cholinergic neurons and calcium homeostasis, and promoting the formation of reactive oxygen species (ROS) and pro-inflammatory responses. Aβ are known to cause specific learning and memory impairment and its administration has been renowned for inducing memory loss in animal models . Salvia miltiorrhiza has been shown to protect mice from Aβ-induced neurotoxicity by inhibiting increases in tumour necrosis factor-α (TNF-α), interleukin-6 (IL-6) levels and acetylcholinesterase (AChE) activity . Tanshinones from S. miltiorrhiza can also protect against Aβ-induced toxicity by ameliorating mRNA expression of inducible nitric oxide synthase (iNOS), matrix metalloproteinase 2 and nuclear transcription factor-κ . Animal studies have demonstrated that supplementation with S. sahendica attenuated memory deficits, modulated cAMP response element binding protein and its down-stream molecules and decreased apoptosis in Aβ-injected rats . In mice exposed to an acute injection of Aβ, rosmarinic acid also prevented Aβ-induced nitration of proteins (an indirect indicator of peroxynitrite damage) in the hippocampus. Rosmarinic acid also prevented memory impairments induced by Aβ toxicity . Protective effects from Aβ toxicity have also been observed following the administration of the Salvia constituents, salvianolic acid , carnosic acid  and quercetin . Central cholinergic signalling has long been associated with features of memory, motivation and mood. Acetylcholine (ACh), a neurotransmitter involved in cholinergic signalling, is believed to play an important role in several aspects of cognitive function and behaviour, including attention, learning, memory and motivation. Alterations in ACh signalling are involved in the pathophysiology of multiple neurodegenerative disorders including Alzheimer’s disease . Recent studies have also provided support for a role of cortical ACh in attentional effort, orientation and the detection of behaviourally significant stimuli . AChE is an enzyme that catalyses the breakdown of acetylcholine and there are several AChE inhibitor drugs available to increase overall ACh concentration. These drugs are based on the premise that increasing the availability of ACh at acetylcholine receptors in the brain enhances neuron-to-neuron transport and ultimately improves cognitive function . In vitro and animal studies have revealed that several Salvia species and their constituents are effective AChE inhibitors. An aqueous extract of S. officinalis lowered AChE activity in mice , and in vitro analyses revealed that ethanolic extracts of S. officinalis reduced AChE, with greater effects on butyrylcholinesterase [18, 19]. In mice subjected to Aβ peptide, pre-treatment with S. sahendica significantly ameliorated reductions in AChE activity and memory performance . The essential oil of S. fruticosa also showed inhibition against AChE , and similar findings were revealed from the essential oil of S. lavandulaefolia, although AChE inhibiting activity occurred exclusively via the monoterpernoids . AChE inhibition has also been observed from the phenolic diterpenes, 7a-methoxyrosmanol and isorosmanol, isolated from S. officinalis. . The active constituents, rosmarinic acid, carnosic acid and quercetin, found in several Salvia species can also inhibit AChE activity [23, 24, 25]. The tanshinones from S. miltiorrhiza also inhibit both AChE and butyrylcholinesterase activity [26, 27]. Neurotrophins are important regulators of neural survival, development, function and plasticity . Brain-derived neurotrophic factor (BDNF) is one neutrophin that has received particular attention in cognitive and neurological research due to its role in supporting the survival of existing neurons, encouraging the growth and differentiation of new neurons and synapses, and enhancing learning and memory . In a recent meta-analysis, peripheral BDNF levels were confirmed to be lower in patients with Alzheimer’s disease and mild cognitive impairment . In one study, the administration of S. miltiorrhiza to mice mitigated Aβ-induced reductions in BDNF . Rosmarinic acid also protected against memory deficits induced by cerebral artery occlusion in mice. One mechanism of the neuroprotective effects of rosmarinic acid involved an increase in BDNF . In rats exposed to chronic unpredictable stress, rosmarinic acid restored hippocampal BDNF. Moreover, in vitro experiments revealed that rosmarinic acid increased BDNF levels in cultured astrocytes . Caffeic acid reduced immobility time of mice in the forced swim test and ameliorated stress-induced reductions in levels of BDNF mRNA in the frontal cortex. Caffeic acid did not modify the levels of BDNF in brain regions of naive mice, indicating that it primarily attenuates the down-regulation of BDNF transcription during stressful conditions . The flavonoid luteolin was identified to be highly active in inducing the synthesis and secretion of neurotrophic factors, including nerve growth factor, glial-derived neurotrophic factor and BDNF in cultured astrocytes . There have also been some reports that quercetin can increase BDNF levels in brain injury models . The production of nerve growth factor, another neurotrophin important for the growth, maintenance and survival of neurons, has also been shown to be enhanced by carnosic acid, carnosol , tanshinones  and quercetin . Excess free radical activity and reduced antioxidant defences create a state of oxidative stress. Over time, oxidative stress can damage all body tissues, with the brain particularly susceptible. Oxidative stress has been implicated in many neurological disorders including Alzheimer’s disease  and Parkinson’s disease . Oxidative stress is also elevated in many mental health disorders including major depressive disorder  and attention-deficit hyperactivity disorder (ADHD) . Moreover, animal models of induced oxidative stress have confirmed that it can adversely influence memory and learning performance [43, 44]. Salvia plants and their individual constituents possess strong antioxidant activity. In an analysis of 10 Salvia species, it was confirmed that all species exhibited significant antioxidant activity as measured by oxygen radical absorbance capacity, radical scavenging capacity and total phenolic content. The extent of antioxidant activity varied across species and extraction methods used, the ethanolic extract of S. officinalis exhibited the highest activity . It has been confirmed that S. miltiorrhiza can reduce the production of ROS by inhibiting oxidases, reducing the production of superoxide, inhibiting the oxidative modification of low-density lipoproteins and ameliorating mitochondrial oxidative stress. S. miltiorrhiza also increases the activities of catalase, manganese superoxide dismutase, glutathione peroxidase, and coupled endothelial nitric oxide synthase . In an animal model, S. officinalis prevented diabetes-induced acquisition and memory deficits by inhibiting lipid peroxidation and enhancing antioxidant defence systems . The majority of antioxidant effects are attributed to Salvia phenolic compounds such as rosmarinic acid, salvianolic acid, sagecoumarin and sagerinic acid as they exhibit strong radical scavenging activity with approximately 90% of 2,2-diphenylpicrylhydrazyl (DPPH) scavenged under the experimental conditions. In fact, their effects were substantially greater than the sage flavonoids, luteolin and apigenin . In another in vitro study, salvianolic acid L showed potent free radical scavenging activities for DPPH and superoxide anion radicals. It was identified as a significantly better scavenger of these free radicals than trolox (a water-soluble analogue of vitamin E), caffeic acid and rosmarinic acid . The monoterpenes 1,8-cineole and α-pinene identified in S. lavandulaefolia essential oil were also able to attenuate oxidative injury in astrocytes by inhibiting ROS production and increasing endogenous antioxidant compounds (e.g. glutathione, catalase, superoxide dismutase, heme oxygenase 1 activity and protein expression) . Carnosic acid and ursolic acid are also powerful antioxidants [51, 52]. Evidence for the influence of inflammation on cognitive function is accumulating. In animal models, the activation of the immune system with lipopolysaccharides (LPS) , a high-fat diet  or the non-invasive enteric pathogen, Citrobacter rodentium , induced memory impairments. In a meta-analysis, it was confirmed that an elevated level of C-reactive protein was associated with a 45% increased risk of all-cause dementia, and a higher level of IL-6 was associated with a 32% increased risk. In patients with Alzheimer’s disease, the association remained significant but less pronounced for C-reactive protein, while there was no association with IL-6 . However, in a meta-analysis on studies in people with mild cognitive impairment, no significant differences in inflammatory factors with healthy controls were identified . Increased inflammation has been demonstrated in patients with ADHD , and increased inflammatory markers are associated with decreased psychomotor speed in patients with major depressive disorder , and reduced cognitive performance in adults suffering from acute-phase psychosis . Findings from in vitro and animal studies have demonstrated that Salvia species and their constituents have anti-inflammatory effects. An examination of the essential oils in S. officinalis (mainly comprising 1,8-cineole and camphor) revealed that it significantly inhibited nitric oxide production stimulated by LPS in mouse macrophages . Acute inflammation induced with intraperitoneal administration of turpentine oil in mice was significantly reduced by S. officinalis tincture, demonstrated by reductions in total leukocyte and monocyte percentages, and the activation of circulating phagocytes . Phenolic diterpenes (carnosol and carnosic acid) present in S. officinalis reduced nitric oxide and prostaglandin E2 (PGE2) production in LPS-stimulated macrophages. They also significantly blunted gene expression levels of iNOS, cytokines/interleukins (IL-1α, IL-6) and chemokines including CCL5/RANTES and CXCL10/IP-10 . A methalonic extract of S. plebeian, and several of its active components, significantly reduced inflammatory processes induced by the in vivo exposure of 12-O-tetradecanoylphorbol-12-acetate, and in vitro exposure to LPS-activated macrophages. S. plebeian decreased the release of nitric oxide, cyclooxygenase-2 (COX-2), PGE2 and the expression of iNOS . Bioactive constituents contained in S. miltiorrhiza such as the tanshinones and salvianolic acids have also been shown to have anti-inflammatory mechanisms by influencing cytokine production and iNOS activity. They also inhibited COX-2, hypoxia-inducible factor-1α, and nuclear factor κβ activity . Moreover, in one study, tanshinones isolated from S. miltiorrhiza significantly inhibited the mRNA and protein expression of TNF-α, IL-1β, and IL-8 in LPS-stimulated macrophages . Investigations into the constituents of Saliva plants have also confirmed that caffeic acid, rosmarinic acid  and ursolic acid  have strong anti-inflammatory properties. Depression and chronic stress can have deleterious effects on cognitive performance. In fact, cognitive deficits including impairments in memory, attention and learning are common symptoms of major depressive disorder and most anxiety disorders . Exposure to chronic and acute stress can adversely affect cognitive abilities. Alzheimer’s disease also has a high comorbidity with major depression and it has been demonstrated that depressive symptoms can be a prodrome to this condition . Interventions that have beneficial effects on depression and anxiety are therefore likely to have positive effects on cognitive performance. The administration of hydroalcoholic extracts of S. elegans  and S. verticillata  has been shown to produce antidepressant and anxiolytic-like effects via animal models of depression and anxiety. The same has been observed following the administration of essential oils of S. sclarea [71, 72] and S. miltiorrhiza . In fact, the effects of S. sclarea were more pronounced than those obtained from the administration of essential oils of Anthemis nobilis (chamomile), Rosmarinus officinalis (rosemary), and Lavandula angustifolia (lavender). The anti-stressor effect of S. sclarea was significantly blocked by pre-treatment with dopamine receptor antagonists, indicating its influences via dopaminergic activity . Several constituents from S. officinalis also influence benzodiazepine receptor activity, including the flavones, apigenin, hispidulin and cirsimaritin; and the diterpenes, 7-methoxyrosmanol and galdosol . The phenolic acids, rosmarinic acid and caffeic acid, also possess antidepressant and anxiolytic-like activity. In a neuropharmacological analysis, neither of these substances affected either the uptake of monoamines to synaptosomes or mitochondrial monoamine oxidase activity in the mouse brain, suggesting that they produce their antidepressant effects via mechanisms other than the inhibition of monoamine transporters and monoamine oxidase [75, 76]. 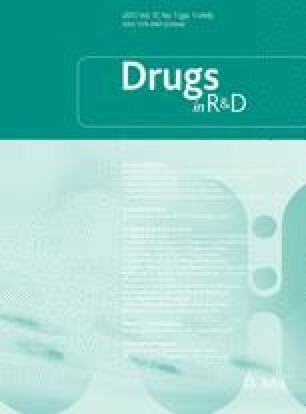 Moreover, salvianolic acid B, a compound from S. miltiorrhiza , and salvinorin A from S. divinorum  exhibited antidepressant and anxiolytic effects in animals models. The cognitive-enhancing efficacy of plants of genus Salvia has been investigated in several human trials and are summarised in Table 2. There have been two trials undertaken in patients with Alzheimer’s disease, both with preliminary, positive findings. In a pilot, open-label study, 11 patients with probable Alzheimer’s disease were administered capsules containing 50 µL of S. lavandulaefolia essential oil, administered 1–3 times per day over a 3-week period. Capsule intake was well tolerated, although two patients with a history of hypertension experienced increases in blood pressure at the highest dose. There were statistically significant reductions in caregiver-rated neuropsychiatric symptoms, and improvements in attention over the 6-week period, although these findings were tempered by the open-label, no-placebo arm, and small sample size . In a randomised, double-blind, placebo-controlled study, the efficacy of an ethanolic extract of S. officinalis was evaluated in patients with Alzheimer’s disease. In this 4-month study, participants allocated to the active-drug condition (60 drops of S. officinalis daily) experienced significantly greater improvements in cognitive function as measured by the Alzheimer’s Disease Assessment Scale, and the Clinical Dementia Rating Scale. S. officinalis administration was well tolerated with no differences in adverse effects across the active and placebo conditions . GC analysis demonstrated 94 peaks, the major peaks were of borneol, camphene, camphor, 1,8-cineole and α-terpineol, with only a trace of thujone. Dosage—Week 1: one capsule at 8 a.m.; Week 2: one capsule at 8 a.m. and one capsule at 7 p.m.; Weeks 3–6: as above with one additional capsule at 12:30 p.m. The cognitive-enhancing effects of acute, single administration of different Salvia species has been investigated in six studies, five utilising randomised, double-blind, placebo-controlled designs. In five studies, the efficacy of Salvia plants in healthy young adults was investigated, while one was conducted on healthy, older-age volunteers. Positive cognitive (e.g. secondary memory, attention, word recall and speed of memory) and mood-enhancing (e.g. alertness, calmness and contentedness) effects from the single administration of differing dosages of essential oil of S. lavandulaefolia in healthy adults was demonstrated [22, 81, 82]. Improvements in mood (e.g. alertness, contentedness, and calmness) and cognition were also identified following the single administration of a S. officinalis extract to healthy young adults , and enhancement in memory and attention were revealed following the single administration of S. officinalis to healthy, older-age adults . In a randomised, single-blinded design (participant-masked), Moss et al. also found positive cognitive and mood-enhancing effects from acute exposure to the aroma of S. officinalis and S. lavandulaefolia. These studies provide preliminary support for the cognitive and mood-enhancing efficacy of some Salvia species. However, conclusions are tempered by the small sample sizes and short treatment duration. Treatment dose, Salvia species and extracts used have been variable, further limiting study conclusions. Additional research is required utilising larger populations, particularly in examining its efficacy for the treatment of patients with Alzheimer’s disease. Furthermore, although Salvia seems to have positive, acute, cognitive-enhancing effects, its effects over longer-term ingestion require investigation. Although the influence of plants of different species of Salvia on cognition has been reviewed, differences in the active constituents across each species are likely to affect their influence on biological processes and therefore their therapeutic efficacy. Currently, the relative efficacy of different Salvia species on cognitive function is unknown. The influence of individual constituents also requires further investigation. Moreover, human studies on cognitive function have only been conducted using S. officinalis and S. lavandulaefolia. The extracts used also varied considerably as both essential oils and ethanolic extracts were examined. Typical factors influencing the potency of herbal remedies include growing, harvesting, collection, drying, and extraction methods used. This requires consideration when evaluating the therapeutic efficacy of Salvia plants. For example, in an examination of the antioxidant capacity of S. officinalis, it was found that methanolic extract yielded the highest total phenolic compounds and antioxidant activity compared with aqueous and ethanol extracts . An evaluation of antioxidant potential of 10 Salvia species demonstrated that ethanol extracts possessed significantly higher antioxidant capacity and total phenolic content compared with aqueous and CO2 extraction . Ratios of amount-to-solvent, solvent temperature and duration of immersion also influence extract potency . Even the season of Salvia plant collection is important as the highest content of rosmarinic acid in S. officinalis leaves was detected when collections occurred in May, July and September . The acute administration of Salvia in healthy adults has confirmed that its single intake is well tolerated, with no reported adverse events. The safety profile of Salvia plants in longer-term, human trials are summarised in Table 3. Overall, all administered Salvia species were well tolerated, with only minor adverse events reported. Populations examined included patients with Alzheimer’ disease, menopausal women suffering from hot flushes, older-age men undergoing treatment for prostate cancer and suffering from hot flushes, male and female adults with type 2 diabetes mellitus, and male and female patients with newly diagnosed primary hyperlipidaemia. Adverse events reported across all studies comprising approximately 140 adult participants taking different Salvia extracts included increased blood pressure in two patients with Alzheimer’s disease and a history of hypertension (essential oil of S. lavandulaefolia), infrequent reports of mild gastrointestinal complaints (S. officinalis and S. spissum, extraction process not detailed), and one event of acneiform skin eruption (S. officinalis, extraction process not detailed). The essential oils of Salvia plants do contain varying concentrations of α and β-thujone . In animal studies it has been confirmed that thujone can be neurotoxic by inhibiting the γ-aminobutyric acid A (GABAA) receptor, causing excitation and convulsions in a dose-dependent manner. Although its effect in humans is uncertain, cases of severe intoxication in humans have been reported after consumption of essential oils rich in thujone . Consequently, the Committee on Herbal Medicinal Products/European Medicines Agency (HMPC/EMA) has recommended an upper daily thujone intake of 6 mg derived from products used for medicinal purposes . Salvia plants have historically been used for the treatment of several ailments, with traditional knowledge suggesting they have benefits for cognitive and neurological conditions. From this review it seems that the knowledge passed on by our ancestors may have merit. Findings from research confirm that many Salvia species and their individual active constituents influence several biological processes that may impact on neurological and cognitive function. In vitro, animal and preliminary human studies have supported the evidence of Salvia plants to enhance cognitive skills and guard against neurodegenerative disorders. However, further research is required in several areas. Presently, the majority of human studies have used S. officinalis and S. lavandulaefolia species, so the efficacy of other Salvia species is uncertain. Moreover, the extracts used have varied considerably across studies. Ethanolic, methanolic and aqueous extracts have been used, along with the essential oils of S. officinalis and S. lavandulaefolia. The potency and pharmacodynamic effects of these differing extracts are likely to vary considerably, potentially impacting on their therapeutic efficacy. This is a matter that requires consideration in research as the extracts used are likely to influence outcomes. A common issue in herbal medicine relates to differences in the quality of extracts, making generalised conclusions about a medicinal herb difficult. It is important that standardised, replicable extracts be developed that include some measure of potency and purity. Although there have been two studies conducted on patients with Alzheimer’s disease for a period up to 3 months, the majority of research has evaluated the efficacy of a single administration of Salvia plants. The efficacy of longer term intake of different Salvia species on cognition therefore requires examination. Larger scale clinical studies are also essential, particularly given the initial promising findings in Alzheimer’s disease. Several species of Salvia are commonly ingested across numerous cultures, which increases confidence about its safety. However, further confirmation about its safety is necessary, particularly when ingested at higher doses. Given the potential of neurotoxic effects from the Salvia constituent thujone, further investigation is warranted, and/or extracts containing little or no thujone may be prudent. Overall, evidence for the cognitive-enhancing and protective effects of Salvia plants is promising. However, greater investigation is essential to help us elucidate the potential of this commonly ingested herb to enhance cognitive health and wellbeing. The gracious help from Stephen J. Smith with the proofing of this article is acknowledged. Adrian Lopresti has no conflicts of interest that are directly relevant to the content of this manuscript. No funding was received in the preparation of this review. More SV, Kumar H, Cho DY, Yun YS, Choi DK. Toxin-induced experimental models of learning and memory impairment. Int J Mol Sci. 2016;17(9).doi: 10.3390/ijms17091447. Sita G, Hrelia P, Tarozzi A, Morroni F. Isothiocyanates are promising compounds against oxidative stress, neuroinflammation and cell death that may benefit neurodegeneration in Parkinson’s Disease. Int J Mol Sci. 2016;17(9). doi: 10.3390/ijms17091454. EMA/HMPC. Public statement on the use of herbal medicinal products containing thujone. 2011 [cited; Available from: http://www.ema.europa.eu/docs/en_GB/document_library/Public_statement/2011/02/WC500102294.pdf. Open AccessThis article is distributed under the terms of the Creative Commons Attribution-NonCommercial 4.0 International License (http://creativecommons.org/licenses/by-nc/4.0/), which permits any noncommercial use, distribution, and reproduction in any medium, provided you give appropriate credit to the original author(s) and the source, provide a link to the Creative Commons license, and indicate if changes were made.